inMusic, the owner of 13 companies within music, professional sound and consumer electronics, including Marantz and Denon Professional has acquired Rane Corporation, which manufactures audio products for the DJ and pro audio markets. 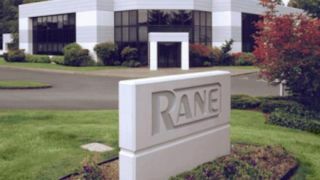 Rane Corporation, co-founders Linda Arink and Dennis Bohn have agreed to sell the company and both plan to retire once the sale has been completed this summer. inMusic’s portfolio of companies makes products including loudspeakers, amplifiers, signal distribution and lighting and consumer electronics. Rane’s product scope extends into DJ mixers, amps, equalisers and networking products, broadening the combined portfolio and allowing inMusic to reach several key market segments. Click here to continue reading at International International.